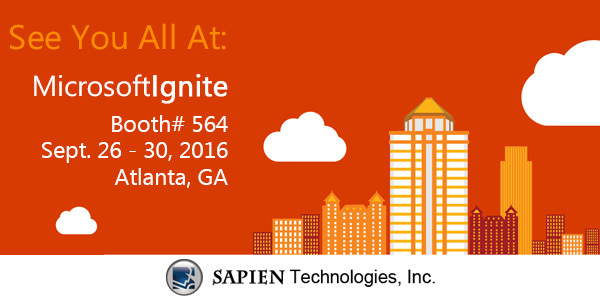 Are you headed to Microsoft Ignite 2016? SO ARE WE! Come visit us at Booth #564 starting Monday, September 26th, 2016. We will have an assortment of giveaway items and even a chance to win a free license! So come get your SAPIEN SWAG and say hello. Ferdinand Rios, CEO, David Corrales, Senior Software Engineer, and Lanae Dale, Sales Specialist, will be manning the booth this year. We are looking forward to meeting all of the new faces, and catching up with those we’ve met before. Safe travels! My SAPIEN License is expiring. No, it’s not! Are you SAPIEN MVP material? Apply here!